Story: It all begins with the paranoid delusions of a half-insane hero called Rorschach. But is Rorschach really insane or has he in fact uncovered a plot to murder super-heroes and, even worse, millions of innocent civilians? On the run from the law, Rorschach reunites with his former teammates in a desperate attempt to save the world and their lives, but what they uncover will shock them to their very core and change the face of the planet! Following two generations of masked superheroes from the close of World War II to the icy shadow of the Cold War comes this groundbreaking comic story - the story of The Watchmen. 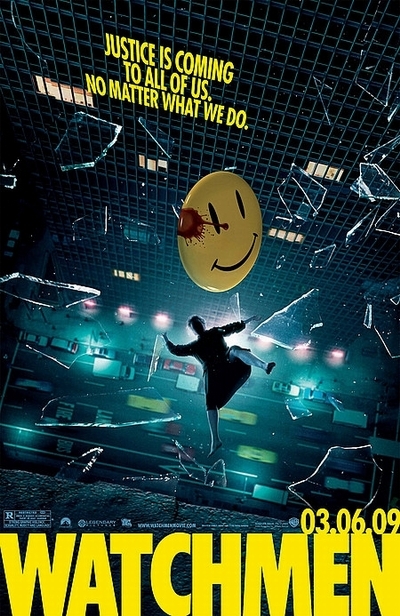 "Watchmen" is based on the 12-part DC Comics series written by Alan Moore and featuring art by Dave Gibbons.